It’s time for another 30 day challenge. This past year I’ve done two sketching challenges (here and here) that have forced me to try and be creative everyday. I’ve seen a difference in my skills and know that is because of the practice that I did during the challenges. 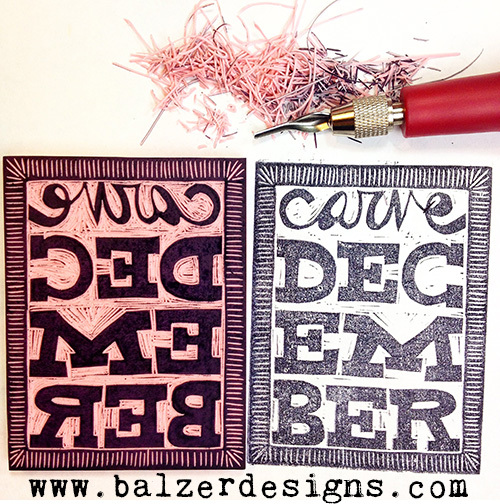 For December, I decided to take on hand carving stamps! I have loved and used the ones I did recently and want to add to my collection. You can see projects using my stamps here, here and here. The challenge was the idea of Julie Fei-Fan Balzer from Balzer Designs. She carves some amazing stamps and has both a book and online class available to teach you how. You can follow along on Instagram using the hashtag #CarveDecember. I’ll be sharing my stamps as the month progresses! Also….I am very excited to be guest posting on Julie’s blog today! She has been hosting some great artists all sharing ideas on using stencils in unique ways. 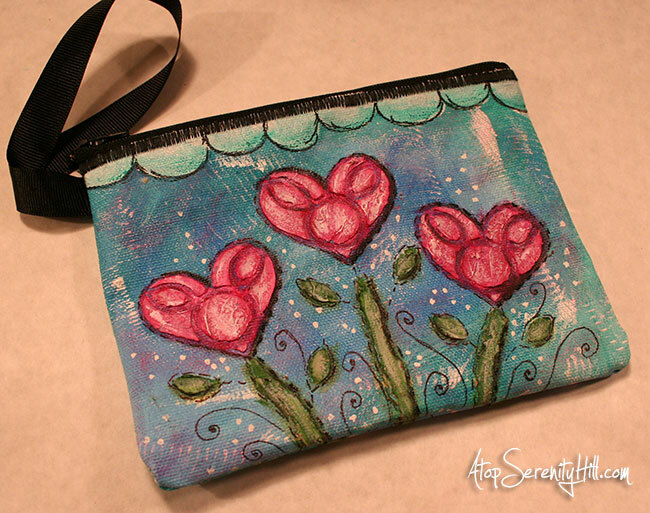 I am sharing how I made this canvas pouch/wristlet using one of Julie’s fun stencils. So head on over and check out my tutorial! PS…if you plan to carve stamps with us this month, here are some supplies that you might find helpful: Speedball Linoleum Cutter , Speedy-Carve Block , cheap erasers from the dollar store, an X-acto knife, a Sharpie and a Archival Black Inkpad . Hi Consie Hope all is well with you. Love your wristlet, so pretty. 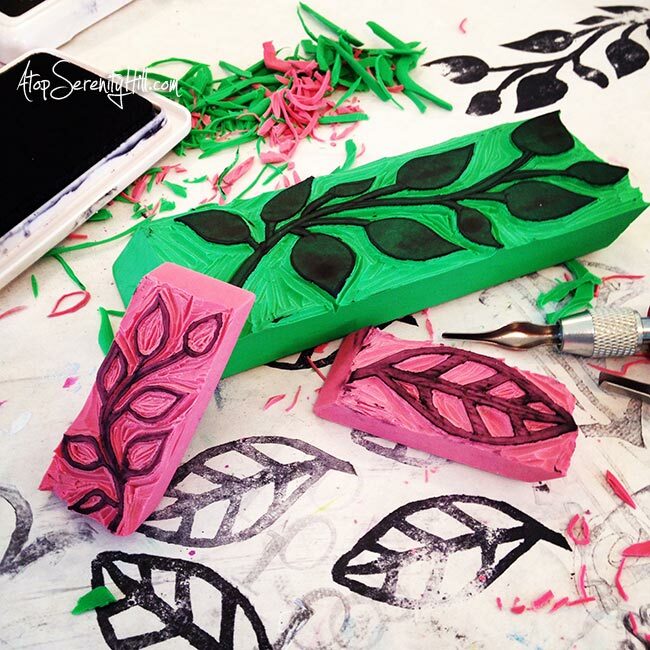 Are you having fun learning to carve stamps? Hubs and I got into carving stamps a bit when we lived in KY. I have some of supplies still. I did couple of stamps but have no idea where they are. Can really do some fantastic things with that talent. I have bit of problem with doing things as my hands don’t work too well anymore. Arthritis in both hands and wrists, no feeling in fingertips on both hands and nerve damage in right arm that makes my hand go dead. Such fun getting old. I have hard time typing as some of my fingers on both hands are twisted from the arthritis. So glad to know you’ve been improving your skills, always a good thing to grow in something you love to do. I’m not surprised as you are such a good artist already, learning new ways to express your talents is most enjoyable for you and people you share your art with. I love seeing what you do.